"From the fury of the Norsemen, oh Lord, deliver us!" So prayed the Irish monks. To the victims of a Viking raid, the Norsemen were bearded giants with bloody axes. But the Viking was much more – a skilled navigator, a brave explorer, a hard-working trader. A dreamer whose songs and stories live even today. And a Viking was a free man – a man to whom honor and reputation were more important than life itself. 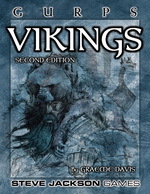 Vikings is a complete guide to the Norse world, including maps, historical background, and details on society and religion. You can game any sort of Viking campaign, from fully realistic to magical and cinematic. 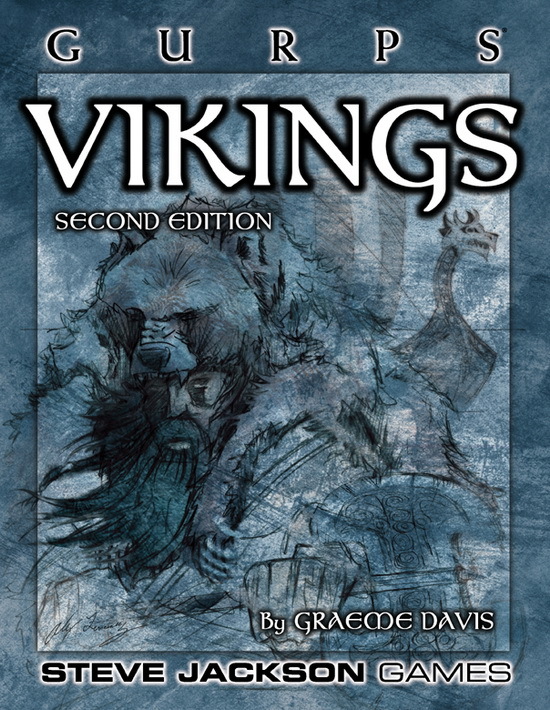 Create a historical campaign, with sea battles, duels and bloody raids – or become a legendary berserker for mythic adventures with Thor and Odin! GURPS Celtic Myth – Enter a world of feasting and fighting, where magic is everywhere and glory is everything. GURPS Middle Ages 1 – The rich, dark world of medieval England, where knights fight for King and God, nobles trade favors and treachery, and peasants work the land.